Inspired Reach uses state-of-the-art technology to transform advertising effectiveness for its clients, by making the experience more involving for consumers. Anima Advertising has the capability to handle the complete planning and buying of media for Television, Press and Outdoor. The agency has handled media planning and buying. Be assured of the most competitive rates and effective plans giving you the best reach and frequency. Media: Offline - Billboards, etc. We offer a wide range of services across multiple media channels covering TV, Radio, Print, Outdoor, Online and Digital Media where our creative ideas take shape. We employ strategic planning and creative thinking principles in offering all our services. Program or plan that identifies the media channels used in an advertising campaign, and specifies insertion or broadcast dates, positions, and duration of the messages. Bijan proceeds with placement of advertisements on suitable channels. Bijan's Media Planning & Buying department undertakes TG Analysis, Market Analysis, Medium Analysis and Media Recommendation & Budgeting on extensive level. Rishté has an exclusive arrangement with one of India’s leading advertising agency, which allows it to buy media space to ensure the most economic advertising rates for its brands. Rishté also has exclusive arrangements with relevant magazines to publish features and advertisements of its member brands. - We as an agency recommend you the planning for launching and re launching the products and services. - What all media are to be used for promotions. - Where to invest and not to invest. - We make you stand aloof. - How to decrease the total cost of ownership. You want your ads to produce results while minimizing spending. It's not just about great creative anymore, it's about relevancy. Without an expert at the helm, navigating the murky waters of ad networks, affiliates, and pricing models can leave you helpless and stranded. Having our own in-house media team lets us deliver smoother, smarter campaigns from end to end. 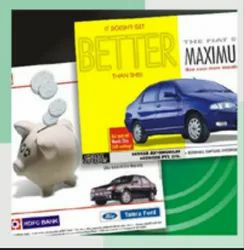 We manage all forms of media planning and buying from start to finish. We also provide our clients with various insights, which will best serve your brand. 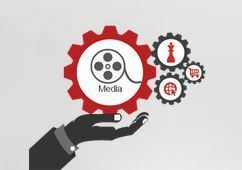 Media Planning- Media planning is generally outsourced to a media agency and entails sourcing and selecting optimal media platforms for a client's brand or product to use. The job of media planning is to determine the best combination of media to achieve the marketing campaign objectives. In order to gain huge appreciation, we render a superior quality range of Media Planning Service (Media Planning & Buying). We analyze the current media usage and client response of the products of our clients and competitor product in the relevant category. We devise media strategies and our effective media buying actability to makes media plans effective in terms of both success and cost. Lets plan a dream launch for your venture.Torque has the most enviable media connections with India’s leading newspapers and News channels.A complete strategy with complete outdoor and indoor media carried out with precision and shrewdness to ascertain complete success. The best media plan acts as a quarterback to the communications plan and understands how each communications relates to the other. Media planning isn't just news papers and magazines anymore, it's the integration of Google AdWords, Online Campaigns and Social Media. Making Tetris look quite easy.